Camping Wolfsmühle är en camping i Lahnstein, Rheinland-Pfalz, belägen vid en flod/ en bäck. Campingen har platser med stängsel, utan skugga och platser med lite skugga. Det finns möjlighet att hyra husvagnar. På campingen finns en lekplats. Denna inspektör gör varje år ett besök på Camping Wolfsmühle och inspekterar campingen för ca 200 faciliteter och för andra förekommande punkter. Inspektören är en medarbetare från ACSI och arbetar inte för campingen. A well maintained site on the edge of the river Lahn. Good sized level pitches. Easy access to local town and supermarket by bike. Also good cycle route to Koblenz and Bad Ems. Camp on river bank. Lovelly setting, All facilities good including cafe. Access road is a little challenging, but not impossible. Very popular site so must book i think. On arrival we were greeted by a very rude and unhelpful member of staff. The pitch itself although facing a lovely river is opposite a major highway. Which inspire of the fact that they advertised it is quiet at night was very noisy. We had the worst night, hardly any sleep. What with the noise from the road at one side and the noise from the trains that run along the other side. Would not recommend this site to my friend. Due to attitude and noise. We had booked for two nights but checked out after just one. Vill du boka Camping Wolfsmühle eller få mera information? Det går bra med nedanstående uppgifter. 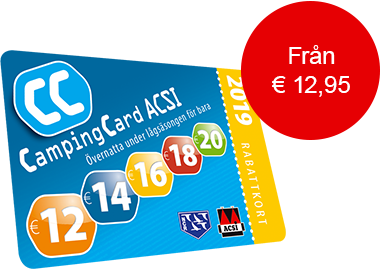 ACSI Eurocampings skickar din informationsförfrågan till "Camping Wolfsmühle".